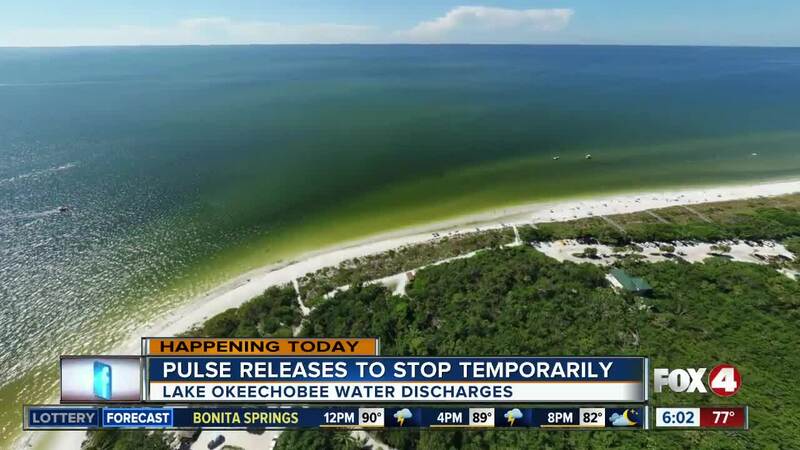 Army Corps temporarily stops water releases while SWFL leaders tackle algae problem in D.C.
UPDATE ( 1PM ) -- The U.S Army Corps of Engineers announced Thursday that average water flows into the Caloosahatchee River will be slightly reduced beginning Friday. The average flow rate of water from Lake Okeechobee into the Caloosahatchee River at Moore Haven will officially remain at 3,000 cubic feet per second for the next week, with a steady flow each day. However, officials say that basin runoff in the river will now be incorporated into the discharge calculation. Flow rates into the St. Lucie River will average 1,170 cfs this week on a pulse schedule. Since discharges began on June 1, the Corps has released 396,000 acre-feet of water, equivalent to approximately 0.89 feet in the lake stage. The Army Corps of Engineers is expected to stop flows temporarily from Lake Okeechobee into the Caloosahatchee River Thursday. The off and on releases in the past two months have left a significant impact on beaches and waterways in Southwest Florida. The City of Sanibel has provided these photos of the shoreline near the Lighthouse Beach Park since the Lake O discharges started June 1st. The most recent photo was taken Wednesday, July 26th, and shows a lot of green in the water. The Army Corps says the lake level sits at 14.09 feet. 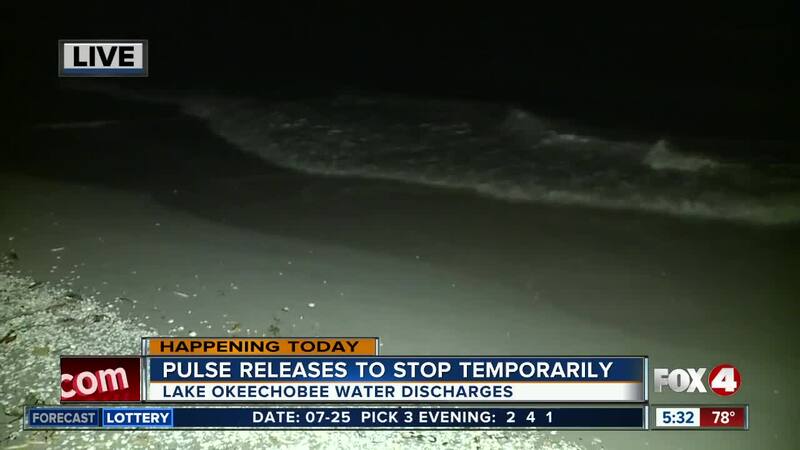 Releases stopped Wednesday into the St. Lucie River. The releases have been off and on for the past two months. Since then, we’ve seen toxic blue-green algae bloom plague the water on the East and West coast. Southwest Florida leaders and clean water activists are all in our nation's capital. They're drilling Congress with questions and demanding answers on a solution to the widespread blue-green algae problem. The group, including Sanibel’s Mayor Kevin Ruane presented before the ecosystem restoration task force. They're working to store water South of Lake Okeechobee and reinstate the harmful algae task force. During the meeting, the Army Corps set a schedule for the Everglades restoration projects. However, Senator Marco Rubio says the timeline needs to be shortened. He wrote a letter to the Army Corps demanding that the Herbert Hoover dike repairs take no more than 3 years. He also wrote that nearly completed projects need to be finished ASAP and treatment features need to be added to the river basins. John Heim with the Clean Water Movement says the group met with Representative Francis Cooney and discussed possible aid on the federal level as opposed to the state of emergency. Heim says they will meet with Senator Rubio Thursday.